Watch your toddler princess transform into the mermaid of her dreams, just like big sister, with this special gift set featuring our popular Aussie Green design! Holiday memories are sure to be made with a mermaid tail gift set for little sister! 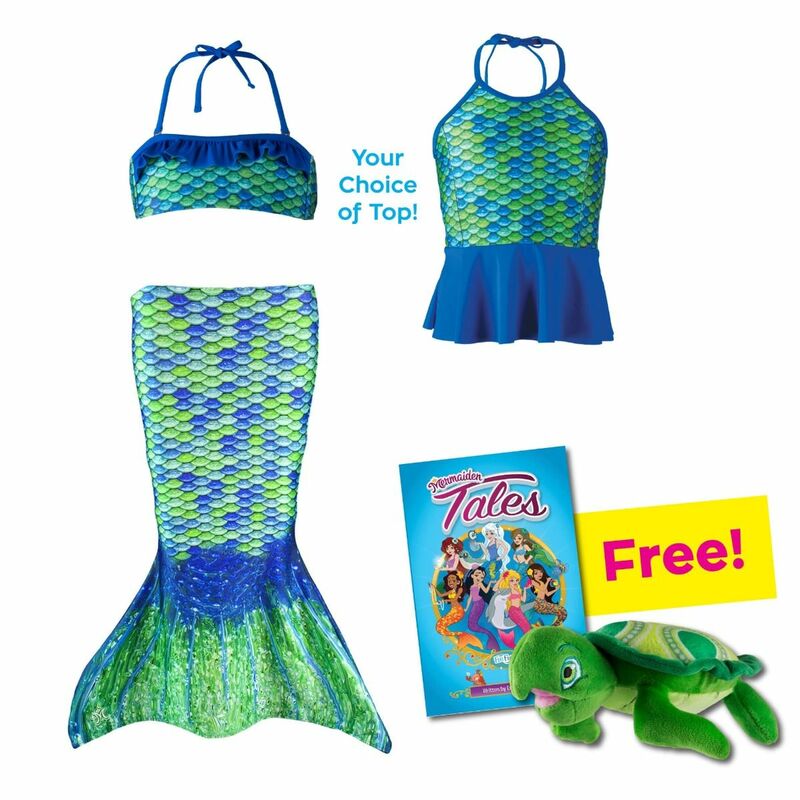 This Aussie Green holiday bundle features a toddler mermaid tail skirt and swim top in bubbly green and blue scales. Fun extras include our Mermaiden Tales book and plush toy Cooper the Turtle for extra mermaid magic!